Considering the recent acquisitions and alliances among the various large genealogy companies and entities, it is clear that big genealogy is big business. Although the amounts of money involved may not be overly significant in the greater business community, it is certain that the economic stakes will continue to increase as these larger companies maneuver to gain market share and influence. Much of the change in the genealogical climate has been occasioned by the rapidly increasing changes in technology. Computers have morphed from a single desktop unit into a variety of forms hardly recognizable just a few short years ago as computers. Significant computer power with access to the Internet is now easily available for smartphones, tablet computers and other devices. Computing has moved from the desktop to the laptop to the hand. Additionally, the new devices have expanded their functionality to include things we could never dream were possible, including face-to-face video conferencing, high quality photo and video capabilities and many more functions. Although genealogy as such, is a relatively conservative pursuit, some of the technological changes are leaving the most conservative (in the classic sense) segments of the genealogical community outside of the mainstream and almost completely marginalized. Paper-based genealogists are now effectively shut out of the community and those depending on older technology, such as Personal Ancestral File (PAF) are finding their interaction with the rapidly changing world of genealogy to be extremely frustrating. The days when FamilySearch's predecessor organizations could establish a de facto standard, such as using GEDCOM, for data communication, have long passed. Current efforts, to establish an updated standard cannot succeed without the cooperative involvement of the larger genealogy companies, who are locked in a competitive scramble to acquire ever larger market share. Truly, the words of Bob Dylan year ago apply, "Then you better start swimmin' Or you'll sink like a stone, For the times they are a-changin'." Mind you, the changes are not bad in a good/bad sense. Change is change and if you resist change you must make your own assessment of how good or bad the changes are. I suppose you can be perfectly happy rejecting everything from cell phones to email, but you won't be participating in the genealogical community. End of story. On the horizon is the possibility, for the first time in history, that any genealogist, no matter where situated on the world, can almost immediately determine the status of research of the genealogy any individual who was ever born. No matter how remotely related, any one, any where, can find others interested in and researching any specific ancestor. One example is thought provoking. FamilySearch.org's newer Family Tree program, requires an email address to function. Although there is a provision to register without an email address, the program itself allows individuals to "watch" for any changes to their ancestors' individual entries. All notifications of the changes come by way of email. Those who try to enter changes into the program without an active and current email address with simply never receive notification of any further changes by others to their ancestor's entries. They are effectively eliminated from collaboration and interaction with the program. They could, of course, rely on the assistance of someone with an email account, but direct interaction is limited to those with an active and updated account. Many researchers are quick to point out that only a "small percentage of all of the records of the world are now online." Whether or not this is accurate is something that changes from day to day. The pace of digitization continues to increase and few of the people I talk to every day have even the faintest idea of the vast scope of the digitization projects presently in place and operating. For example, how many genealogical researchers are following the efforts of the Library of Congress in conjunction with the Internet Archive? How many books do you think there are in the entire world? What percentage of al of the books, in every language and time period are presently online? I think you would be surprised to find out the answer. Back to the big players in this changing climate of genealogy. How do the recent acquisitions and alliances change the way you and I do genealogy on a day-to-day basis? This is really a very complex question that cannot be answered in a single blog post. I will shortly update my series on "Who owns the genealogy companies" to reflect the recent changes. But what is certain is that the changes will continue at an increasing rapid rate. Information is, and has always been, a commodity just like corn, wheat, gold or oil and the stakes concerning its management, creation, stockpiling and control are going to impact genealogist and everyone else in the world in ways we can hardly perceive presently. But one thing is certain, as long as I can type, I will continue to comment on the changes. In an update from FamilySearch.org, they indicated that FamilySearch has created a training website to help you make the most out of Family Tree. It gives you access to training videos, a reference guide, webinars, practice exercises, and much more. The ability to use Family Tree on behalf of someone else (helper). Additional features to reduce merging of nonduplicate records. 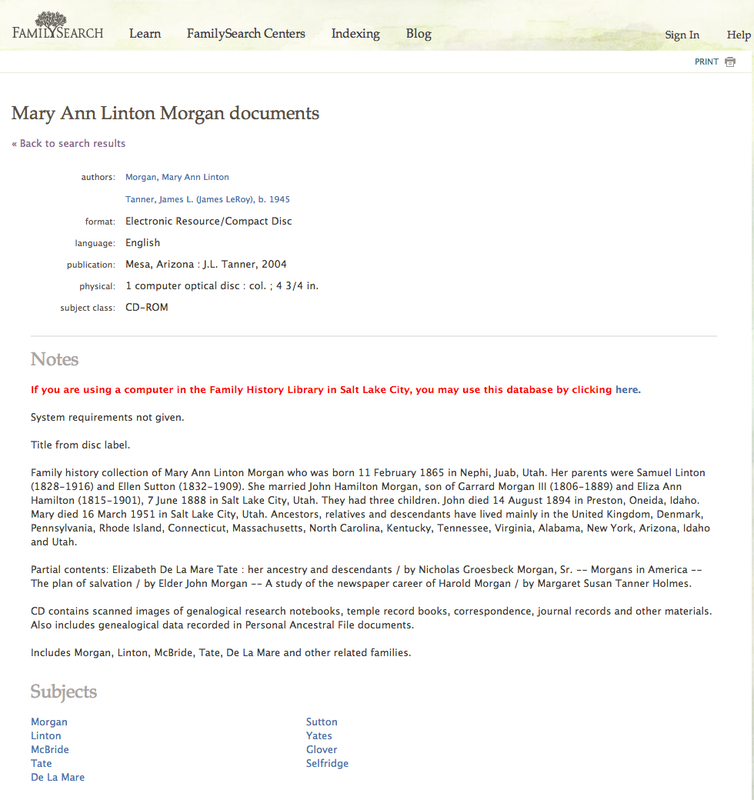 The migration from new.FamilySearch.org of individual and family notes as well as sources entered by users. The ability to print pedigree charts, family group records, and other reports. We've come a long way with FamilySearch.org over the years, and we are committed to go even further. We invite you to begin your Family Tree journey today, and don't hesitate to let us know what you think! Please be advised that the opinions I express in this post are clearly mine and your opinion my be very different. If you like, you can always comment with differing opinions. Step One: Identifying and locating documents and photographs for digitization. Step Two: Determining reproduction rights including any possible copyright claims. Step Three: Determining the best method of reproduction. Step Four: Exploring the best and most efficient method of establishing a work flow. Step Five: Allocating time and resources for the digitization project. Step Six: Setting up the equipment in an adequate work area. Step Seven: Capturing the images. Step Eight: Transferring the images to a storage media and backing up the images. Step Nine: Adding metadata to the images to identify the contents. Step Ten: Extracting the genealogical information from the documents and attaching them to appropriate individuals and families in a data base. Step Eleven: Sharing the information and images with others interested in the same families. 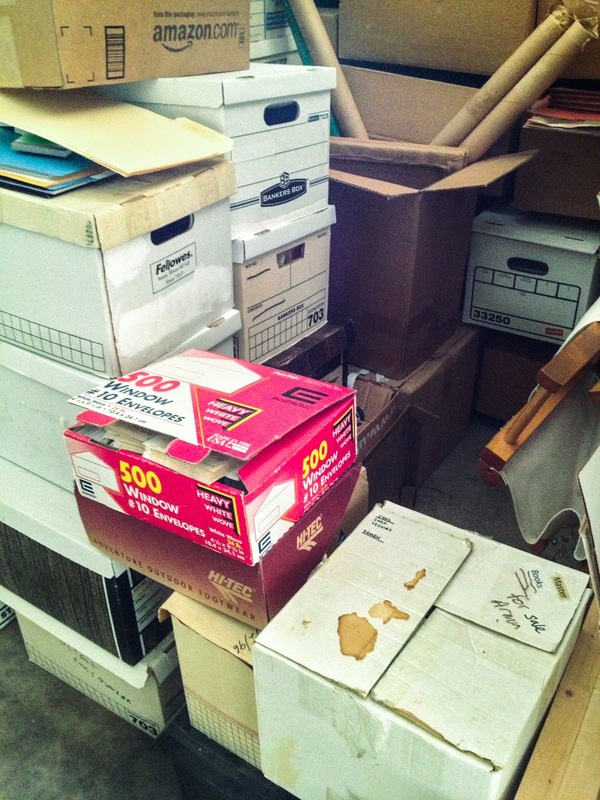 Step Twelve: Where appropriate, arrange for archiving the images and original documents. Even before you start down this road, you need to acquire equipment of a sufficient quality to provide a suitably legible and detailed image and where appropriate, to satisfy archival requirements. The concept here is to end up with an image that will be able to be viewed by the maximum number of people over the longest period of time. At the same time, realizing that the images will likely have to be migrated to newer more current formats in the future. Entry level: Images captured from books or other documents purely for the purpose of taking notes or later transcription. There is no intention to archive the images. In this case, there is no need to be concerned about either the quality or format of the image as long as it can be read when viewed on a computer screen. No special equipment is needed, you can use a smartphone with a camera, an inexpensive point-and-shoot camera, a handheld scanner or whatever. File formats should be readable by your own programs. Intermediate level: Capturing images for the purpose of recording documents that are readily available in other locations. For example, adding photos of gravemarkers to Find-A-Grave online or taking pictures of museum pieces or other historical places. The intent here is to record the object or view and not necessarily to preserve the image in an archive. Again, no special equipment is needed, you can use a smartphone with a camera, an inexpensive point-and-shoot camera, a handheld scanner or whatever. File formats should conform to the requirements of the viewing site or generally used by the computer community. Advanced level: Preserving paper documents and photographs that are one-of-a-kind and may not survive natural deterioration. This is the real goal of preserving documents and photographs digitally. At this level, not only is the quality of the original digitizing equipment a concern but also the file format and quality of the images. In every case, at this level, the resultant images should strictly conform to the highest and best standards available at the time the image is acquired. Part two will focus on the equipment needed at each level and give some suggested brands and types of equipment. FamilySearch is pleased to launch a new FamilySearch.org experience in international languages. This is the first of a series of updates that FamilySearch will be making within the next few months in order to improve everyone’s experience on the site. Users whose browsers are set to French, Italian, Spanish, German, Portuguese, Russian, Chinese, Japanese, or Korean as their default language will now see a localized home page in their language. 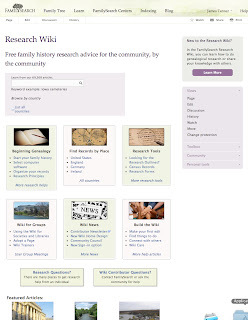 As you visit the page and navigate through the new design, you will notice a sub navigation bar with links to resources on the English familysearch.org home page. These will remain available until they become fully functional in their respective language. This is an important development for world genealogy. Thanks to a call from Mark Olson at MyHeritage.com the big news today, MyHeritage Buys Former Yammer Stablemate Geni.com In An 8-Figure Deal, Raises $25Million. A big day for online geneaology sites:MyHeritage, an Israel-based site that lets people research and share their family histories, has raised $25 million in new funding, and it has bought out one of its longest-standing rivals, Geni.com — the company that originally begat Yammer, which now owned by Microsoft. The purchase, an eight-figure deal according to MyHeritage investor Index, is not an acqui-hire but a data-cquisition: it gives MyHeritage “billions more global records and connecting millions more of our users,” the company says. As part of the deal, David Sacks will become a board member at MyHeritage. The deal will also help MyHeritage compete better against the biggest payer in the field, Ancestry.com, which was recently bought out for $1.6 billion. The $25 million round was led by Bessemer Venture Partners, with participation also from existing investors Index and Accel. MyHeritage says that it will be using the new funds to grow its business internationally. LOS ANGELES, California, PROVO, Utah & TEL AVIV, Israel – November 28, 2012 – MyHeritage, the popular online family history network, announced today it has acquired long-time rival Geni.com and closed a new USD$25M funding round led by Bessemer Venture Partners (BVP), with existing investors Index Ventures and Accel Partners also participating. Geni.com Founder David Sacks and BVP Partner Adam Fisher are joining the MyHeritage Board of Directors. The acquisition reinforces MyHeritage’s position as a global power player in the family history industry and accelerates its vision of helping families everywhere build and share their legacy online. The purchase of Geni.com is the eighth and largest acquisition made by MyHeritage since the launch of its online family history network in 2005. It extends MyHeritage’s network to 72 million registered users, 1.5 billion profiles and 27 million family trees,containing the most internationally diverse family history content in the world. The new investment round will be used by MyHeritage to boost growth of its historical content services and expand commercial operations worldwide. In addition toacquiring significant record collections from Europe and rolling out globalcrowd-sourcing projects, the funds will enable MyHeritage to explore additional M&A opportunities and ramp up its international marketing operations. The latest funding round brings the total funds raised so far by MyHeritage to USD$49 million. Founded in 2007, Geni.com is well known as a pioneer in collaborative family tree building with its focus on creating the World Family Tree, and enjoys a large following in the US. Geni.com will continue to operate as a separate brand based out of its California office, which will also serve as the main engineering hub for MyHeritage in the US, alongside its main content offices in Utah. 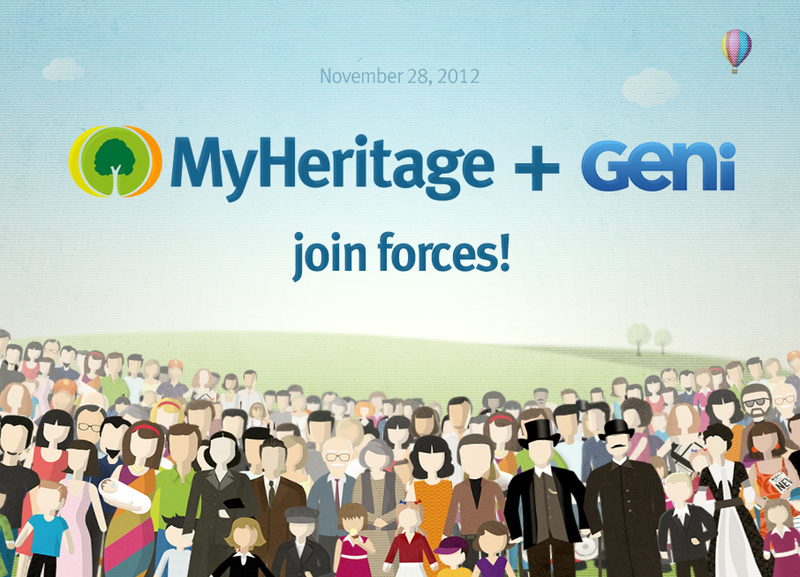 The entire staff at Geni.com will join the MyHeritage team. The services of MyHeritage and Geni.com will initially run independently. MyHeritage plans to give respective users the option to collaborate on family history research by enabling two-way information flows between the sites that will facilitate new family discoveries and provide greater value to the users of both services. Users from both sites will be able to discover long-lost relatives and new ancestral connections through MyHeritage’s Smart Matching technology, which finds common matches between family trees. To add new color to the ancestries of Geni.com users, MyHeritage will apply its recently launched Record Matching™ technology that matches historical records, such as birth, death, census and immigration records, to individuals in Geni.com family trees. 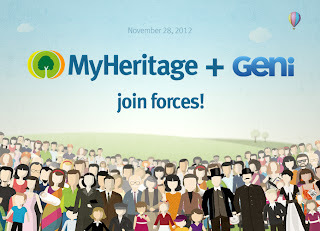 Geni.com users will be able to enjoy extended offerings provided by MyHeritage including DNA kits for genetic genealogy. Geni.com Founder, David Sacks, a renowned entrepreneur, and most recently the Founder and CEO of Yammer (sold to Microsoft in June 2012 for $1.2 billion), will take a seat on the Board of Directors. David’s contributions as a visionary in the family history field, combined with his sharp eye for product, make him a strategic addition to MyHeritage management. “What we’ve learned over the years building Geni is that there are three key assets that customers want in the genealogy space: records, private trees, and the world family tree. This deal brings together all of these pieces to form the most complete offering in the genealogy space. Together with MyHeritage, we look forward to continuing Geni’s mission of connecting humanity through a single family tree”, said Founder of Geni.com David Sacks. More comments later as the story develops. 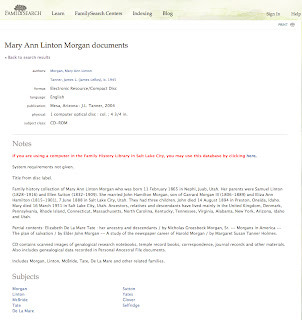 After much discussion and deliberation, the Home page or startup page for the FamilySearch.org Research Wiki has finally been modified to show more of the content with links to important topics and pages. If you sign in, you can enter any comments in the Discussion section of the page. 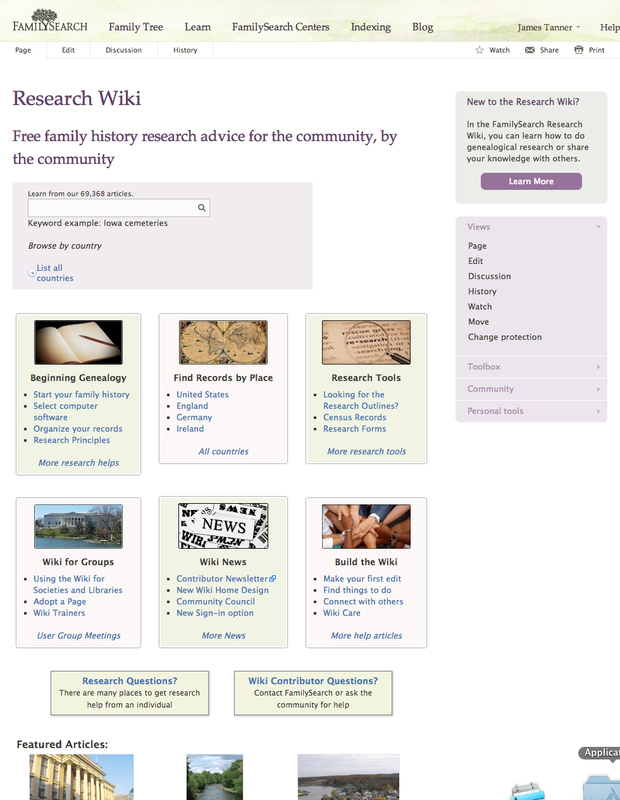 The Research Wiki is still not very visible on the FamilySearch.org website, but this resource continues to grow and develop into a fabulous site, now with over 69,000 articles. What is more important than the absolute number is that the content of the existing articles is increasing constantly. If you are unfamiliar with this resource, you need to check it out. A recent conversation I had with a doctor highlighted a common research problem. The doctor, who had very, very limited information about me, my diet, my weight gain or loss, or anything else, focused on a one-year-old cholesterol number and started in recommending a major change in my diet. Interestingly, everything he suggested, I had already done. But he did not take the time to find out about me, he focused on what he saw as a "problem." In the end, I dismissed the entire conversation as irrelevant to the my current medical situation. Also, interestingly, the doctor didn't bother to discuss the problem that brought me to his office in the first place, which was an upcoming major surgery! To me, this was sort-of like focusing on whether the grass was mowed, while the house burned down. I realized as I thought about this conversation, that I had gone through the same or similar conversations repeatedly with would-be genealogical researchers. One of the most glaring issues during the past few weeks relates to genealogical "fan charts." Fan charts are all the rage and I have had several specific conversations where people have been alerted to a genealogical "problem" by the missing family lines in a fan chart. One typical conversation involved a researcher who thought that his genealogy had been "done" until he printed out a fan chart and saw some of the missing lines. He immediately galvanized his family organization to address the "problem." He was reporting to me his success in finding a profesional genealogist who had extended the line. This seemingly success story should have been heart warming. However, to the contrary, it was a blatant example of focusing on a problem and ignoring the underlying causes and or solutions. My question? How did he know he was related to the remote ancestor who was the end of the line? In this case, he relied entirely on research, with little or no documentation, done entirely by others. The researcher was not to blame. He did exactly as he was hired to do, that is, extend the line from an identified individual. But no one had checked the research up to the point of the remote ancestor. It might have been correct or it might not have been correct, but now, it is very likely that issue will never be raised because the space on the fan chart has now been "filled in" with names and dates. I have been working, some what, on my Springthorpe line. Over the years I have reviewed dozens of family group records that end with my remote ancestors James and Frances Springthorp (or Springthorpe or any number of other iterations of the name). The apparent problem is that both the husband and the wife had the same surname. Were they related? Did they, in fact, share the same father or mother? This appears to be the blank space on the fan chart. But when I began searching, coming back down the line several generations to well documented descendants, I found many more issues with the research and a lack of real source citations. The real issue was with finding information about their daughter, my ancestor, and her husband. That is, the issue was with David Thomas and Adeline Springthorpe (or whatever spelling). The connection between Adeline Springthorpe and her parents needed to be addressed and resolved before moving on to the next generation. The dates vary from 5 September 1826 to 5 July 1839. Was she the daughter of James Springthorp and Frances Springthorp? Maybe yes and maybe no. But starting the research with James and Frances would be the problem, not the solution. Let's find out first before we move on to try to identify the parents of her parents. Above I said that the researcher hired by my friend was "not to blame." But wasn't that researcher doing exactly what my doctor did to me? Focusing in on an apparent problem, when the real problem was staring him in the face. Shouldn't the doctor have focused on why I was in his office in the first place, rather than on an unrelated problem he perceived from my year-old chart? Shouldn't the researcher have started by verifying the lines leading up to the remote ancestor? Maybe he or she did, but that did not come across in the conversation I had with my friend. Shouldn't we focus on the bigger picture of our genealogy and make sure we are looking at the underlying problem and not something that may be entirely irrelevant and just maybe, we ought to find out the current state of affairs with relation to what people have done about the earlier problem. 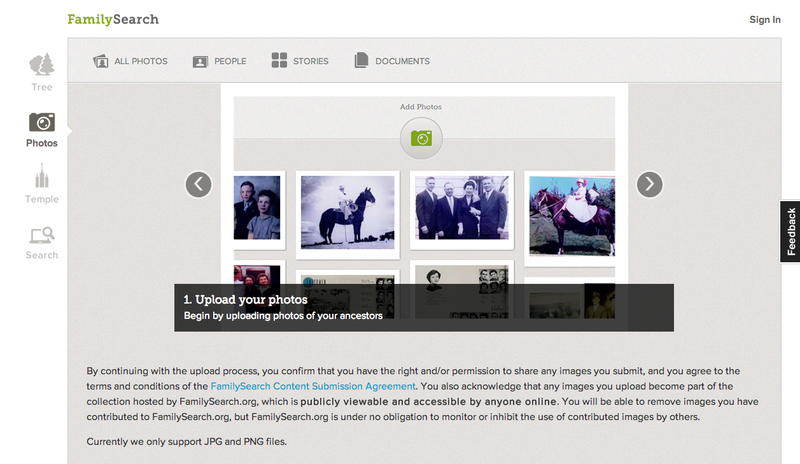 (All Levels) FamilySearch is introducing a new feature -- FamilySearch Photos. 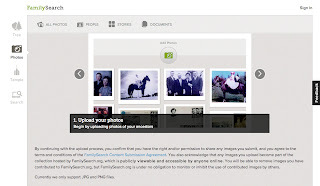 This feature allows us to upload images of our ancestors, tag/identify ancestors in the photos, and associate the tagged ancestors in the photos to the Family Tree. 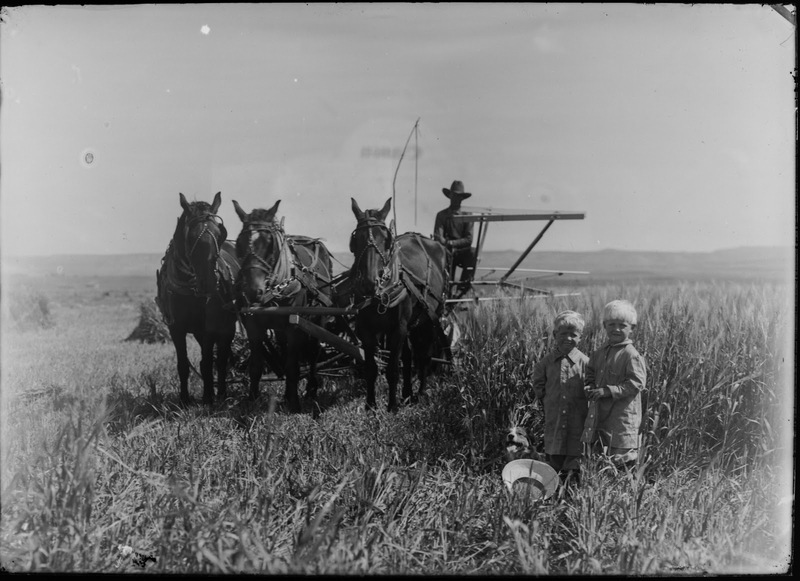 Come see how you can share photos of your ancestors with your family and the FamilySearch community. We are thrilled to be coming back to the Mesa Convention Center in Mesa, AZ for the Arizona Family History Expo 2013 on January 18-19, 2013. Take advantage of our early bird registration by November 27th for only $59. The cost will be going up on November 28, 2012, so don’t delay sign up today. Onsite registration will begin and the exhibit hall will open at 1 p.m. on Friday January 18th. The event will close at 9 p.m. Exhibits and registration will re-open at 9 a.m. on Saturday. The exhibit hall will close at 4 p.m. Prizes donated by exhibitors will be given away both days and Grand Prizes donated by sponsors will be given away at the closing ceremony. This event is sponsored by Family History Expos and supported by FamilySearch. Click here to register now. If you have already registered, forward this email to a friend and have them come with you. 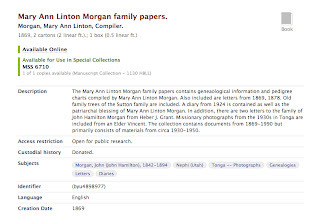 I will be looking forward to finding out about this much needed and anticipated addition to FamilySearch Family Tree. In recent posts, I have talked about the challenges of handling huge numbers of digital images. In this post, I need to go back a little and talk about the physical process of scanning and the equipment needed for reaching archival levels of preservation. Most people associate the amount of money equipment costs directly with quality. However, quality can be independent of cost. Where the correlation between the cost of an item and its quality breaks down is frequently in the area of highly specialized products. The cost of specialized products is determined more by the demand, i.e. the number of potential users, rather than the quality of the product itself. From another viewpoint, the cost of products can increase for any number of factors, while the actual quality of the product may not increase. Let me give an example. Are the most expensive cars in the world highly rated for their dependability? If I am traveling on city streets from my home to the Mesa FamilySearch Library, what would I gain if I were driving a $200,000 Lamborghini Gallardo over my $25,000 5 year old Prius? Why would I care if the Lamborghini could go from 0 to 60 in 3 seconds, when the top speed limit is 45 mph? Would the fact that currently the Toyota Prius C is rated the most dependable car of all by Consumer Reports influence your opinion? I use this example to show that when you are looking to solve a particular problem, such as driving to work every day, you may need to look at the quality of the product more than other factors. But the real question is whether or not spending more actually increase the quality of what you are trying to produce? In cars, you may put more emphasis on style, utility, comfort, and many other factors. But when we are talking about producing a very specific product, such as archival quality digital images, we have far fewer considerations. The goal in digitizing images is to produce a high quality image in an archival format and then preserve that image for the future. But once we have reached that goal, we can continue to spend more money and not achieve any more usable quality. In fact, in one area, the resolution of the image, we may exceed the physical ability of the human eye to distinguish the increased resolution. Fundamental to the whole process of digital preservation is the quality of the original document or photograph. Further, the requirements for preserving printed documents are far different than those needed to adequately reproduce photographic images. The final use of the image is also a factor. Is there a need to reproduce the image at a huge size? For example, for posters or billboards? Or is the information in the image what is important rather than the ultimate quality? For example, a copy of the page of a book. Let me suggest two limiting factors for any digitization effort; for text material, the limit is readability, for photographic images or those with intricate detail, it is the physical limit of our eyes' ability to distinguish detail. Unless there is some other reason to be concerned with higher quality, once those limits have been reached, further "quality" i.e. resolution of the images adds no further value. There are of course, some rather large exceptions if the intended use, as I mentioned, requires reproduction at a larger physical size. Today, we can use two basic methods of acquiring digital text and images; devices that fall into the category of scanners in a multitude of sizes, shapes and formats, and devices that fall into the category of cameras, also available in a huge selection of sizes, shapes and quality. The cost of both of these categories can vary from under $100 to hundreds of thousands of dollars. The basic question is what do I have to spend to obtain the necessary quality and what other factors do I need to consider? One factor I have yet to mention with respect to digitization, is the time it takes the device to produce an image. From my own experience, the time it takes to do the digitization is by far more of a factor in completing the projects than the cost of the equipment. I have found that after digitizing hundreds and then thousands of images, the overall speed of the equipment increasingly becomes a factor. It is also apparent, that acquiring a digitized image is only a small part of the process of preservation. You need a computer to process the digitized images and storage devices for storing and archiving the images. These further processes involve additional expense and considerable equipments. Additionally, you will need a physical space in which to conduct the digitization, meaning, you need a room or someplace to work. In the end, the ultimate digitization product may depend more on your own preferences and resources than any other factors. You may be unwilling or unable to spend either the time or the money to gain additional quality and speed. These comments will continue as I examine the level of quality and equipment needed to reach a level that could be considered digital preservation. 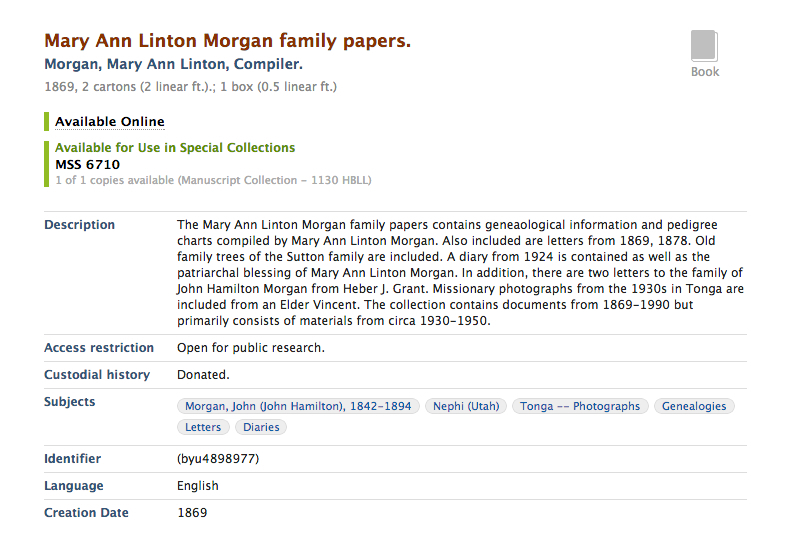 Within the next few months, FamilySearch will introduce Family Tree. The first of many updates planned for FamilySearch.org, Family Tree will bring collaborative web tools together with the resources of the world’s largest genealogy organization to create a free and engaging way to discover, preserve, and share your family history. The post then references the same "special introductory video" that has been online for months. Did I just enter a time warp? Didn't I sit through the "Introduction" of Family Tree back in February, 2012 with 3000 or so of my closest friends at RootsTech 2012? Didn't we just go through another introduction a few weeks ago? Now, we learn that "within the next few months, FamilySearch will introduce Family Tree." We also learn that "Family Tree will be open to everyone and the more you learn about it now, the more ready you will be to take full advantage of this exciting new family history tool when it becomes available." Pardon me. What have I been using and teaching about for the last nine months? Is there yet another introduction to come? How many more times are we going to be introduced to Family Tree? Oh, well that's what I get for reading the blog posts. With the new mountain lion operating system, Apple Computer has supplied a built in voice recognition program called Apple dictate. This particular blog post is mostly being written with Apple dictate. I have made no corrections to the text so any of the words that are wrong came from the program. I am putting any corrections and brackets so you can see the problems with the dictation. I also added some spaces and periods and corrected some upper case letters. One of the problems that I see is that the text does not appear as you dictate but only as you finish a segment of dictation. The program relies on an online connection to Apple computer to do the actual voice to text conversion. Or is also a 32nd [30 second] limit to the amount of dictation that you can do before transcribing. Over the years, the ultimate in computer assisted voice recognition would be full recognition with 100% accuracy. From time to time, I have tried different programs to see how close they come to this goal. Unfortunately, in most cases and every time in the past. I have found that the programs were cranky or buggy and lack the ability to transcribe common phrases accurately. It ended up taking more time to dictate then [than] it did to type the dictation manually. If you have a physical limitation or typing is very difficult for you, then it may be advantageous to try a voice recognition program. Actually, the Apple dictate program is doing a fairly good job of transcribing the text that I am dictating. Although the 32nd [30 second] time limit is very inconvenient. The program would work for short short [words repeated requiring editing] notes and other of other [more words repeated, there is a tendency to repeat when dictating] things requiring only a small amount of dictation, but if you wanted to use this program to make a longer dictation it becomes very inconvenient to stop every 30 seconds. Before I began using computers extents [extensively], I use [used] to dictate a lot of my legal briefs. However the correction process was so lengthy and painful that when I got computer access I immediately stopped doing voice dictation. If you rely on voice recognition software for writing blog posts or articles for publication, you have to do a great deal of careful editing in order to pick up all of the misused words and problems with punctuation. I don't think that I would use Apple Dictate regularly because it would drive me crazy. But I am incentivized to try another upgrading my existing voice recognition software, and perform another test of the voice recognition capabilities. It may be just possible that voice recognition software has reached a level where it can be a useful tool especially if you are writing thousands of words a week. Actually, the program didn't do too bad of a [edited out extraneous words] job in transcribing my speech especially if I spoke slowly and carefully. If you have an app [Apple] computer, running Mountain [L]ion, you can turn on Apple dictate from the system's preferences [System Preferences]. The program is started by hitting the function parens FM parens [(fn)] key twice. I will report back when I get the new program, if that's what happens. In a recent blog post, I made some comments about the JPEG 2000 file format. Saving files in this format was supported with an Adobe Photoshop plug-in up to CS3. Subsequently, the plug-in was only limitedly available. The latest version of Photoshop CS6, allows saving a file in a JPEG 2000 format. For example, Photoshop Elements 10, the latest version will not open a JPEG 2000 file in .jpf format, neither will Google's Picasa. This format is also not recognized by the current version of iPhoto. TIFF files are all supported by all of these programs. You may want to read more about JPEG 2000 and other file formats before selecting any one of these formats for archive purposes. For a lossless format, TIFF files are currently the most supported. 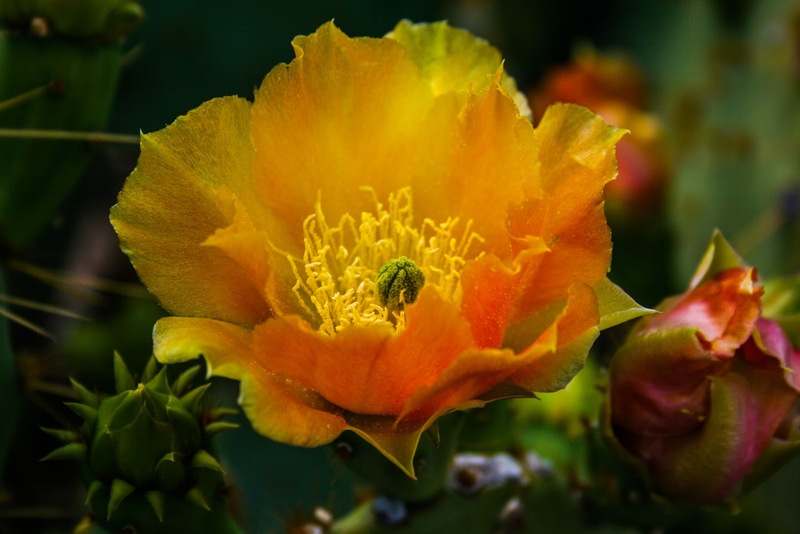 Prickly Pear flower with two colors. This is a picture I took some time ago, but I always go back and revisit my archives for more photos to put on my websites. Many of my readers know about my alter-ego as a photographer. My photography blog, Walking Arizona, has over a thousand of my photos. Interestingly, Walking Arizona is quickly becoming more popular than Genealogy's Star. Is there a message here? Maybe I need to focus more on photography and less on genealogy? (just kidding, I have too much to do in genealogy). Actually, the two passions are complimentary. I do a huge amount of photographic work in genealogy, especially using the camera to digitize documents, photographic negatives and other items. Both genealogy and photography can be the basis for a lifetime of learning and improvement. In my photography mode, I also do panoramic 360 degree images. You can see some of them on my blog PhotoArizona260. These types of photos are much more involved than my other photos and so I don't post to that site as often as I would like to. In my dreams, I could spend all my time wandering around the state of Arizona and the rest of the country, taking photos and posting them online. But reality sets in and I get back to teaching, blogging and working on genealogy. How do you handle thousands of images? Oh, you say, I only have a few images, but think about it, if you can handle a few you already know the basics and if you can't handle a few, then you need to know the basics before you begin scaling up to hundreds or thousands. So, there are a number of levels you have to go through before you are ready to work with a large number of images. First, you need the basics. Just short time ago, I wrote about Geoff Rasmussen's new book on scanning that has a good introduction to the basics. (See a very helpful book entitled Digital Imaging Essentials. The book is available in both PDF and paper editions). But here, I am talking about what you do where Geoff left off, that is organizing thousands of images (or tens of thousands or more). In thinking about this subject, I didn't want to seem elitist or special in any way. Whether or not you have one document or thousands may depend on your particular family. I just happen to come from a family of savers. They saved boxes and boxes of everything. I have samples of everything from hair (yes, cut hair), crocheted doilies, to medals, thousands of letters and thousands of photographs. You may not have anything, but if you are persevering, ultimately, you may have to think about how to preserve and organize all your documents and photos and other stuff. Entry - learning about digital files and why some file types are better than others for archiving and preservation. Beginning - learning the basics of scanning; operating the scanner and/or a high resolution camera and saving files to your computer's hard drive or to an external hard drive. This includes knowing funadamental file maintenance and backup techniques. Intermediate - Acquiring and using a basic image organizing program such as Google's Picasa or Photoshop Elements. Advanced - Utilizing more advanced professional level programs such as Adobe Lightroom and Apple's Aperture and becoming involved in learning about digital preservation. In addition, investigating repositories where the records can be permanently maintained. Where do you start to need advanced tools? That is hard to say. Will you reach that level with a thousand images? Ten thousand? Fifty thousand? Whatever level you choose, at some point you will find that you have lost control of the number and variety of images you have on your computer's various hard drives and you are in serious need of help. Picasa or Photoshop Elements don't do the job. In my experience Picasa worked for me for a while, then I moved on to Adobe Bridge, but as the number of files continued to increase, I got a more powerful (read harder to learn and use) program, such as the Adobe Lightroom, I found that the time savings alone was worth the expense and effort to learn the program. Another factor is the speed of the computer. This is one issue that has driven me over the years to buy the newest technology. I was always pushing the envelope with larger and more complex files, as well as increasing numbers of images. Presently, all of my scans and digitized images are downloaded from my camera into RAW images and stored in Adobe's Digital Negative (.dng) format with the RAW file embedded. The images are between 20 MB to 50 MB each. Now, if this doesn't mean anything to you, then you have a lot to learn. Usually, most instruction books and basic courses are aimed at the novice or beginner. This is not an area for either. If you are going to work with 100,000 images, you need a lot more than some basic training. You need some high powered software tools as well as the fastest computer you can afford and the knowledge to use both. Here is a simple question: how long would it take your computer and hard drive to load 100,000 images onto a 3 TB hard drive. It takes mine, one of the fastest available, over eight hours if there are no problems. If I had even tried to do this even a year ago, I would have exceeded the capacity of my largest hard drive and bogged down my computer. I could get faster equipment now, but there is a trade off between the time it takes for certain tasks and the cost. I buy a new computer when the old one makes me nervous because it is too slow. That cycle seems to take about three or four years. As for hard drives, I am already in the market for a 4 TB drive, if the price comes down or a larger drive if they become available. Right now, 6TB drives are quite expensive and cost more than two 3 TB drives. At the very least, you should scan at 300 dpi (dots per inch) if you never intend to print larger than the resulting digital record size. 1200 or greater dpi is recommended if you think you will ever want to print a larger version of the record. The scanning device you purchase will have software that allows you to set the desired dpi. The article does not identify the author, other than "Guest Blogger." But making statements like the above indicates a less than complete understanding of archival requirements. Here is a link to a pretty good explanation of the real issue with scanners. The issue of scanning resolution is a watershed issue as to the amount of knowledge necessary to be serious about digital preservation. The blog post quote is misleading and not specific enough to be helpful. If you skip over the basics of the physical requirements for archival results, you may do a lot of work that will ultimately be less useful that it could have been. At the same time, JPEG 2000 encoding is not generally built into still-photography camera chips nor is JPEG 2000 decoding native to Web browsers, and this has led some commentators to compare JPEG 2000 unfavorably to JPEG_DCT in terms of adoption. JPEG_DCT is native to virtually all still-image digital cameras and Web browsers. Meanwhile, however, JPEG 2000 has begun to appear as a built-in option in moving image cameras. You see, JPEG 2000 is a specialized format and for example, is not currently supported by Adobe Photoshop without a specialized plug-in. These comments are not made with the intention of discouraging anyone from becoming involved in digital preservation. I can get really technical, really fast. This is also an area with a huge number of differing opinions on file formats, image resolutions issues, and other controversial issues. My point is that if you are going to spend the time to digitize thousands of images, you need to know what you are doing and make sure the results of your scanning activities are productive in the sense that the images are useful and the file formats sustainable. Where to go to start? How about the Library of Congress website? I suggest as a minimum that you become familiar with the issues involved in digital preservation. There is a whole lot more to be said on this subject. I would be glad to help anyone facing the problem of archiving thousands of photographs. You can contact me through Facebook. I think the genealogists and the historians have a common goal. The Graham County Historical Society's museum has been moved out of its location and is presently without a permanent location for its exhibits. This seems to be a common theme among archives and museums whether large or small. It seems to me that a town as large as Safford, drawing on the whole Gila Valley area, could find somewhere to have their historical museum. Mesa has a lot of empty and abandoned space, too bad we are so far away. Genealogists generate paper. I can remember in past genealogy classes, the instructor would always seem to have a huge family group sheet binder with hundreds of sheets. I suppose I was supposed to be impressed, but mostly I just felt tired. I passed the family group sheet binder stage of my existence years ago when I started to enter all of my information into various genealogical database programs. Then I began accumulating documents, photos and other extraneous paper. OK, so I sort-of finished that project, but at the same time, through a cousin, found three more boxes from my Great-grandmother and my Aunt. I started working through those boxes. Meanwhile, I got a huge number of additional documents from my father's family and through my own research. All of this went into the digitization file. About this time, I began to realize we had an interesting, life changing, challenge. How do I get all this done? By the way, apart from the genealogy files, I was also digitizing 40 years of business records consisting of hundreds of thousands of documents. I may have mentioned my grandson digitized all summer and made over 30,000 images but only managed to finish a few of the dozens of boxes. Fortunately, that was only the beginning. My wife inherited a number of boxes of her own to add to the pile, including hundreds of Family Group Records from her family and hundreds (thousands) of documents and photographs. One of my cousins (by marriage) had a huge collection of hundreds of photos and documents from my Great-uncle. That project went on priority and took a few months. We finally gave the family a copy of everything on DVD and added all those documents to the stacks. Last year, as I have related before, we most fortunately found the Margaret Godfrey Jarvis Overson Photograph Collection of photographic glass and acetate negatives taken in the late 1800s and early to mid-1900s. I estimate over 3000 total negatives and prints. That has taken me almost a year to process just over 1000 photos. During all this time, I was working with FamilySearch on a pilot digitizing project, scanning the Mesa, Arizona City Cemetery Records. That project involved scanning 13,113 images which, I am told, are now in line to be added to the FamilySearch.org Historical Record Collections. That project is complete. Meanwhile, I am aware of another collection of six boxes of documents that I am waiting to receive and begin processing. That could show up anytime. I spend at least one full day a week processing documents with no end in sight. Right now, I have almost 76,000 images and photographs in Lightroom to process, not including the huge business files and other archive items. Do you see why I may have a sense of urgency? In my next installment of this review, I will talk about my current method of handling all of these images. Most of the genealogically valuable images will end up in repositories at some point in time. 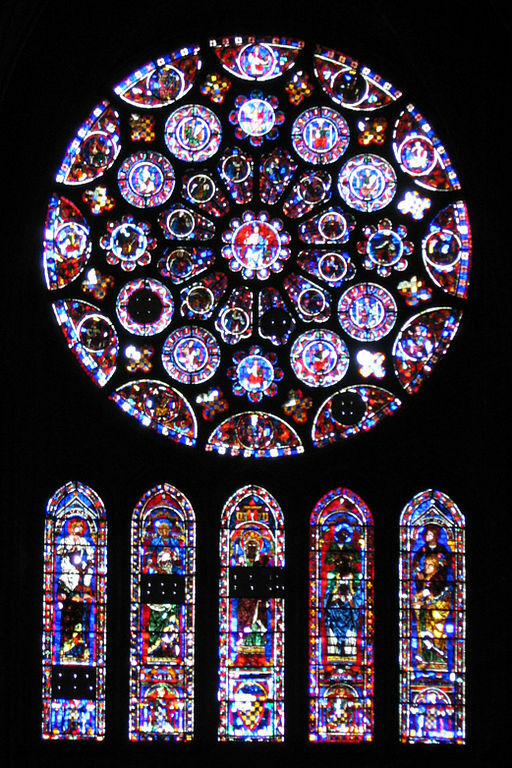 When I was an art major at the University of Utah, I took a course in Art History and learned, in part, about building the cathedrals in Europe. 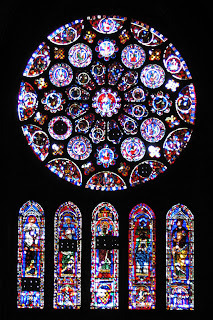 This image of the North Rose Window is an example of the exquisite work done by the artisans over the more than 54 years it took to build the cathedral. Many of the people who worked on the cathedral died long before it was finished. The same thing happened with other monumental structures, those who designed the building and started the work, failed to live long enough for it to be finished. Maybe we should think of our work in genealogy more in terms of building cathedrals and less in terms of "finishing a project." Our lives and our work are always in progression. We never really come to an end. Some people focus so much on the end that they fail to see that life itself is in the work. The work of doing genealogy has the value, not the end product. Because there really is no "end product." There is always another line, more documentation, more people to find and more work to be done. Is this a tragedy or an opportunity? Do we lament the fact that the workmen died before the cathedral was finished or rejoice in the opportunity they had to contribute to a worthwhile and lasting project during their lives. In another example, there is a very thought provoking book/movie called "Holes." Sachar, Louis. Holes. New York: Farrar, Straus and Giroux, 1998. Medavoy, Mike, et al. Holes. [United States]: Walt Disney Home Entertainment, 2003. The story and movie have an involved multilayered plot. But one of the main themes is the alleged redemptive nature of work. The supposedly juvenile delinquents are being rehabilitated by digging holes out in a dry lake bed. I am not going to tell the story, you will have to read the book or see the movie, but the point of this reference is that their work was never done and they had no idea as to the underlying purpose of the work. But some of the aspects of the work are similar to what we experience in genealogy. We do face the same challenges day after day. We sometimes have no idea why we are doing the work and often we never live long enough to see the "end product." But none of those issues are determinative of the value of what we do. Whether we are digging holes or building cathedrals, much of the day to day activity will appear the same. In both building the cathedrals and in digging the holes, the end product was not visible but was a great reward. If we are to continue with our research day after day, we have to have joy in the journey and not feel like failures because the work did not get done. You may think that having access to WiFi is ubiquitous, but I talk to people frequently who only have a vague idea of how or why it can connect devices to the Internet. In addition, there are several limitations of this type of network connectivity that may make your online life interesting. Wi-Fi (also spelled Wifi or WiFi) is a popular technology that allows an electronic device to exchange data wirelessly (usingradio waves) over a computer network, including high-speed Internet connections. The Wi-Fi Alliance defines Wi-Fi as any "wireless local area network (WLAN) products that are based on the Institute of Electrical and Electronics Engineers' (IEEE) 802.11 standards". However, since most modern WLANs are based on these standards, the term "Wi-Fi" is used in general English as a synonym for "WLAN". Many electronic devices such as laptop computers, smartphones, tablet computers (iPad, iPod, etc) and other devices can connect to the Internet if there is a wireless network access point or hotspot. The WiFi detectors are built into the device. To establish a WiFi network, you need to have a standard network connection from an Internet service provider. In a home network, after signing up for Internet service, that connection is usually made by some sort of physical connection to the service. For example, my service provider run a cable from the local network connection into my house. Next, you need a device to connect to the service provider's network, usually a net modem. A net modem is essentially a box with connectors on the back or side. To use a net modem for your home network, you need another box called a router. These routers either with or without wireless connections or with both plug-in and wireless capability. OK, so you get Internet service, then you attach a net modem. Many service providers will "rent" you a net modem to go with your service, just like the cable TV box that you get with Cable TV service. If the service requires you to use their net modem, you have no choice, but usually, you can buy your own net modem and save the cost of paying the service provider rent. You will also have to purchase a router to connect to your net modem. Be sure and buy one that has a Wireless Local Areal Network (WLAN), also called WiFI, capability. There is some amount of technical setup to establish a local network for your home. You may need to have some help from someone who has done this before. Once you have your Wireless Local Area Network (WLAN) set up, you have "WiFi. That means you can establish a WiFi connection to your local router. When you set up such a network, it is absolutely necessary that you create a secure network that requires a password to establish a connection. Otherwise, you will be providing free Internet service to anyone within range of your router. Once your local network is established, any WiFi enabled device, iPad, Kindle, laptop, etc. should be able to "see" the network. If so, all you have to do is turn on the WiFi option on your device and then establish a connection to the network using your password. Don't forget the password or you will have to start the whole process over again. If you have a WiFi enabled device such as an iPad or smartphone, you probably already know that you can connect to any number of local area networks or WiFi Hotspots, for free around the country. If you have WiFi turned on in your device, you just have to turn on the device to see if you have a WiFi signal. Many libraries, fast food restaurants and other businesses establish WiFi Hotspots for promotional or public service reasons. As I mentioned in the beginning of this post, WiFi can make you life interesting. If you travel a lot, you likely already know that finding a reliable WiFi Hotspot can be hit and miss. There are programs that will search for WiFi connections and alert you, but most of the time, you just have to search for a signal from your device. Some places, such as the Atlanta Airport, will have very limited WiFi service for free, but may charge you for a full Internet connection. Hotels may also offer free WiFi as part of their services. You can always pay for a device to connect directly to the Internet, using a cell phone service such as AT&T or Verizon or others, but there is a considerable expense for a network data connection. Depending on a WiFi connection can be further interesting because the signals are "local." They can be really local, like only working in one room of a building. If you have a problem in your own home finding the WiFi signal, you may have to buy yet another box, a WiFi Repeater, that will extend the reach of your WiFi router. I have been using WiFi connections to make my presentations at genealogy conferences, but I have found them to be very unreliable, even when I have paid for the service. For that reason, I am moving away from live presentations and depending more on PowerPoint presentations. Hmm. While the rest of you are out there standing in lines in Walmart or whatever, I am comfortably at home writing away on my computer. I find a huge disparity in the genealogists' attitude about buying things online. We have a significant segment of our (mainly older) population that are so concerned about the so-called identity theft, that they won't buy anything online for fear that someone will purchase a motorhome in their name. At the other end of the spectrum, I find some who would buy everything online if they could find a good deal. I mainly find that the things I buy online are either much cheaper than an local price I can find or entirely unavailable. This is especially true for genealogically related products. I live in a huge city, the sixth largest city in the United States and I haven't found even one retail outlet in the entire city for genealogical products. I can find a genealogy program here and there, but if I want a book or whatever, I have to search online. Fortunately, there are a number of genealogy specialty catalogs and bookstores online. First and foremost are the genealogy programs. Almost every program is available directly from its developer. So whatever program you want, usually, all you have to do is search for the name of the program, go to the website and purchase and download a copy or have the box with the installation disk sent directly to you. I am sure that I have not exhausted the categories. If you search for "genealogy products online" you can get an idea of the broad spectrum of products and online catalogs available. Now what about the fear of using online services? In talking to people about this issue, I have come to the conclusion that explanations of the online purchase process don't really help assuage the fear. It is sort-of like trying to talk my Grandmother, who was afraid of flying, into taking an airplane instead of a bus across the country. Every time you use a credit card, there is a danger that the number or the card will be stolen. That is a fact of life. Every time you get in a car, there is a danger that you will be killed. Most of us, accept the risk and go ahead and ride in our cars and use our credit cards. If you can't do either because of your own fears, then there is not much I can say that will change your mind. But if you are interested in genealogy related products, you can go to conferences and talk to the vendors or you can go online and find what you want. That's about the choices right now. Despite the frenzied efforts of the world to turn Thanksgiving into just another reason to buy and sell products or to watch sports, I began reflecting on the real reason we need to be thankful. To borrow a phrase from Abraham Lincoln, we seek after our ancestors so that they "shall not have died in vain." That those of our ancestors whether they arrived by airplane, boat or by walking across a river, will be remembered and honored for the life they lived. After all is said and done, if we do not value our heritage and remember our fathers and our mothers who struggled against incalculable odds to bring us to this nation of immigrants, then where is the meaning of life itself? In a greater sense, we are all immigrants and "strangers in a strange land." How can they be honored if we do not know them? I have been frequently asked, "Why do you care?" Why would Joseph Smith have said, "“The greatest responsibility in this world that God has laid upon us is to seek after our dead?" In answer to that question, I say we seek after our dead to try to make sense of a world that often makes no sense. We need to understand and feel that we are part of something that is larger and more important that our brief lives. We have a fundamental need to connect with our ancestors. To the extent that we lose our past, we have no future. To the extent that we fail to recognize and preserve our heritage, we lose that heritage. We have a need to belong and if we deny that need by focusing our lives on acquiring the things of this world, then we do not just lose our heritage but we lose our souls. I will not be spending this day trying to find the "best deal" so I can stand in line at Walmart, neither will I spend this day watching parades or football, I will spend it like I do every day, seeking after my dead and helping others to to the same. I will spend it with those of my family that I can and look forward to further associations with my family in the future. Family is not just those "relatives" that you cannot get along with and those you can, family is much greater than that. It is combination of all of those who lived and died before. Some of us, like myself, are compelled to waste out our lives seeking our ancestors and preserving their memory and I am thankful for that and thankful for all those who also seek after their own families. When it comes right down to it, the greatest tragedy of our modern life is the loss of family and I, for one, will do what I can to preserve families and stand in the stream to try and prevent that loss. A few days ago, I had one of the very much older volunteers at the Mesa FamilySearch Library ask for some help with a tablet computer. The experience started me thinking even more about the challenges technology add to the already substantial challenges of genealogy. This is something I have written about from time to time, but in light of some of the trends in genealogy, I always have more to say on the subject. 1. Genealogy is not a video game. I was watching one of my young grandsons play a simple video game on an iPad. His mother (my daughter) told him to put it away or she would ground him from playing video games indefinitely. He reluctantly put the machine away and did the task he had been assigned (sort of). There is this huge unsupported assumption that because these children can manipulate a computer or video game to play games that they are somehow now competent to do genealogical research. Where does this come from? I can drive a car, a rather complicated skill, but that doesn't help me understand how to do research. Driving a car may be useful to get me to the Library, but it is not a core skill for research. Let's look at my grandson, a wonderful child with many talents. He can read at grade level but almost never does (he is one of a few who don't. Most of my grandchildren are avid readers). This is not a criticism, he is normal. He is very young and cannot spell or type on a computer adequately yet. Making the jump from playing computer games to searching the U.S. Census records is very a very, very large jump. He can play any number of computer games much better than I will ever try to do. Here is another issue. He cannot read cursive. They do not teach children cursive writing in our schools to the extent that they can read other's handwriting. If I gave him a handwritten document from my Great-grandmother to read, it may as well have been written in Chinese. 2. Computer skills have already become a core skill for genealogical research. Now, you will say, this second point contradicts my first one. It does not. What I said was that playing computer games does not qualify someone for doing genealogical research. The next question is does my young grandson have any useful computer skills? (I am not picking on him, I am just using a very bright young boy as an example). More generally, do most of the younger children have those skills. The answer is mixed. For example, almost 45% of all households nationally still do not use the Internet according to the Children's Partnership, a national, nonprofit child advocacy organization. Further statistics show that 26% of 4th graders and 34% of 8th graders in Arizona scored below the basic level of math that is expected in their grade (national average is 19% and 30%, respectively). OK, so I could go on. Merely because someone we know who is "young" can operate an X-box or Wii or cellphone, does not indicate "computer literacy." Computer skills are comparable to reading ability. Some cannot read at all, but the levels of reading ability are huge. I know people who when handed a letter or document will hand it back and if asked if they are not going to read it, will say, "I already did." They can read an entire page at a glance and understand what they read. The same thing happens with computers. There are people that consider me to be a computer whiz. But compared to some of my own children and their spouses, I am a rank beginner. What has happened in genealogy and is increasing becoming an established fact, is that without recourse to a computer you are severely limited in doing genealogical research today. End of story. When we talk about the vast online resources available, it is just that, they are online. Many repositories no longer have paper access to their records. They are only available online. For example, the Maricopa County Court system is entirely online, we file all of our pleadings in electronic format. You cannot even look at paper documents in the court anymore, you have to look online. Computer skills are no longer optional. "Digital literacy is a complex and contested term. It is often understood as the ability to participate in a range of of critical and creative practices that involve understanding, sharing and creating meaning with different kinds of technology and media." See “It’s not chalk and talk anymore” School approaches to developing students’ digital literacy." The same could be said about genealogy. Adding genealogy to computer skills makes for two highly complex skills. Genealogy is not made "easier" by adding in computer skills, it is facilitated. It is actually more difficult because you have to acquire additional skills. There are many distinctive aspects to computer literacy such as the physical ability to type, operate a mouse or touchpad and other devices, the ability to understand and operate menu driven hierarchal programs, an ability to conceptualize abstract concepts such as virtual files and organization and many more. Very few of the entire spectrum of computer skills are actually taught in school. Younger people have the same challenges in learning computer literacy as older people who are just beginning. Mastering one aspect of computer usage, i.e. the mechanical skills to operate the keyboard and mouse, are not entire spectrum of those necessary to acquire computer literacy. OK, so this is just a start at this subject. I will have to continue in future posts. This is not necessarily a series. What I am hoping to do is start some discussion of the real needs of those learning genealogy today and not basing that assessment on invalid assumptions. I just finished drafting a new page for the FamilySearch Research Wiki called United States, How to Find Genealogy Records. Rather than reproduce that extensive article, I will let you click on the link and see what kinds of resources are available on the Research Wiki. Even if you have extensive genealogical experience, you might be surprised at the amount of information now in the Research Wiki. I have been writing and editing articles for some years now and I have barely begun to add all of my references and links. But there is an outstanding amount of information already available. A recent conversation with an elderly lady (someone older than I am) made me stop and reflect on the changes in technology. This lady was expressing her concern that her advanced age and limited computer abilities were a daunting obstacle to her continued participation in the genealogical processes. As I face a major medical operation within the next week or so, I could only sympathize with her predicament. Some of us just do not have the time left in our lives to absorb the tremendous technological changes facing the world and particularly, the genealogical community. Here are some of the factors that I see as major changes and thereby major obstacles for genealogists of all ages. But before you start pointing out that "young people" are already adept at using computers, I think I should comment on the range of skills needed to do genealogy and how those skills stack up to each age group. These will be my impressions and, of course, you may disagree. First and foremost in the skills needed for genealogy, is the ability to read and interpret information and the patience to do so. Genealogical research requires a lot of reading. I find that this factor alone limits the ability of many people to participate in the genealogical process. This applies to both young and old. If you have been involved in genealogy for some time, you may recognize that there is also a physical component to genealogy, you have to be able to see well enough to read and do research. You may immediately attribute this challenge to the older genealogical population, but I find many, many young people who have not acquired sufficient reading skills to allow them to do any kind of serious research or reading. If reading is difficult for you, genealogy may be impossible. • Americans are spending less time reading. • Reading comprehension skills are eroding. • These declines have serious civic, social, cultural, and economic implications. This trend has serious consequences for the future of reading intensive activities such as genealogical research. Computers and technological changes do not compensate for this decline, in fact, they are a contributing factor. You can try all you want to involve the "youth" in genealogy, but if they don't have basic reading skills your efforts are likely ineffective and misplaced. Although the report I cite above is slightly outdated, the trends noticed are definitely continuing as there has been nothing done to reverse the trend. Today's students associate reading with preparation for mandatory tests and nothing else. There are notable exceptions, but those exceptions largely rely on parents who help children to develop a love for books and reading from an early age. The children of the young people who never learn to read will very likely never have that opportunity. The next major obstacle to adopting technological change is purely physical. Limitations in dexterity, eyesight and mobility can seriously hinder the adoption of new technology. One older individual was seeking help from me with his new "tablet computer." Unfortunately, he did not have the manual dexterity to operate the touch screen. His age was a barrier to adoption of this technology by virtue of declining physical abilities. I am finding it harder and harder to read the small text on my iPhone and this brings up another challenge, the financial implications. I recently went to have my vision tested. Yes, I need a new prescription for eyeglasses. Hmm. Guess what? To get a pair comprable to what I was already wearing cost anywhere from $800 to $1000 for lenses and frames. I could not believe that this was reasonable. So I went to a number of outlets including major warehouse distributors such as Costco. Guess what? The difference was negligible. I could get a basic pair and cut down the price, but there was a definite trade-off. Now think about the cost of obtaining a computer, monitor and other devices and realize that the purchase is likely to have to be upgraded periodically. I hear over and over again, especially from older genealogists, that they do not have the resources to constantly spend money on new computers and upgraded programs. I am set up to do this constantly, but I realize that others are not so situated. I would likely buy computers over food, but I don't expect that many other people fall into that category. Well, it looks like I will have to continue this topic. I need to talk about resistance to change. This affects us all, but is a serious issue now in the genealogy. FamilySearch Family Tree goes live tonight?